We have been told in history books that Christopher Columbus brought Smallpox to the islands of the Caribbean and thus eradicated almost all of the native populations. But there have been many virulent disease epidemics after Smallpox that have had an impact on the families of Puerto Rico and you may see these diseases listed as causes of death in the civil registry of Puerto Rico. Being an island of small proportions, only 100×35 miles, an epidemic can travel quickly and comprehensively invade every municipality. Other islands of the Caribbean had seen the Cholera epidemic before the deadly disease reached Puerto Rico. Awareness of the epidemic led to preventative measures on the island of Puerto Rico that included quarantines and spraying of the mail with vinegar. Belatedly, the cholera arrived in 1855 and by 1856 had killed 30,000 people on the island. The mulatto and Africans of the island were the hardest hit, with close to 12% of Puerto Rico’s slave population succumbing to the disease, two-thirds of them male. The Spanish Flu of 1918-1919 killed about 1% of the total population of Puerto Rico, many in the US Army camps on the island. Termed influenza or “la influenza”, the Spanish Flu attacked in waves during those years. Tuberculosis soon followed as the next epidemic on the island, with the highest rate of mortality between 1920 and 1950. There are various types of TB including pulmonary, Gastro-intestinal (GI) and urogenital. The GI type was sometimes called tropical sprue before a differentiation method was developed. Many cows were infected with TB on the island and the bacterium was passed on through the milk. TB deaths crossed racial and socio-economic borders, as all families were affected. 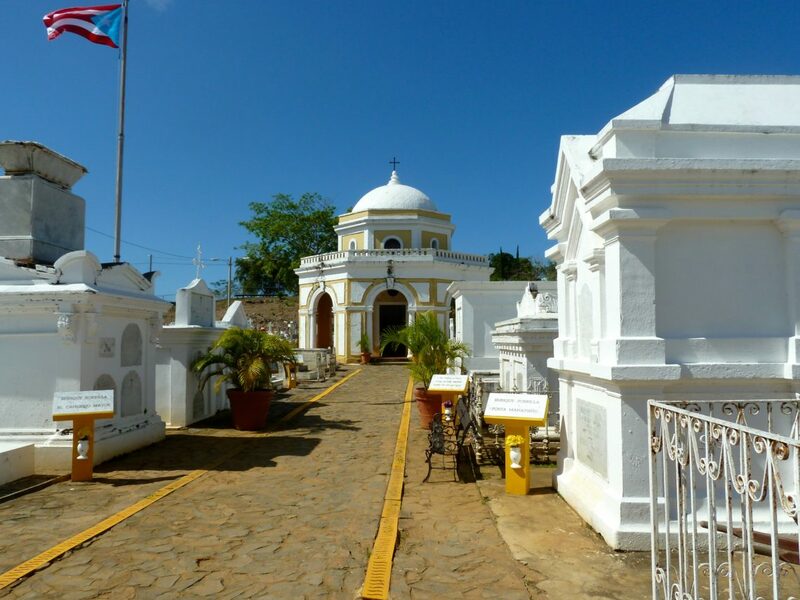 Some areas of the island, such as Vega Baja, had a high incidence of twin births (gemelos) during the early 1900’s. It was rare that both twins survived and the consequence was sometimes termed debilidad congenital (congenital weakness) or la falta de crecimiento (failure to thrive). Many historians have debated if the hurricanes San Felipe in 1876, San Ciriaco in 1899, San Felipe Segundo in 1928 and San Cipriano 1932 had an affect on disease transmission and prevalence on the island, but current epidemiologists agree that these natural disasters may have influenced living conditions for a time, but did not alter the pathogenic potential or cause mutations in strains. New epidemics have occurred all over the Caribbean with Puerto Rico and Cuba being equally affected. There was a severe outbreak of poliomyelitis (polio) in Puerto Rico in 1960 and involved 68 of the 76 municipalities on the island. The Dengue virus epidemic from 1977-1994 had considerable spread all over the island and 400,000 people were affected during those 17 years. Dengue Fever has returned to the island in 2012. The most recent and advertised disease has been Zika.